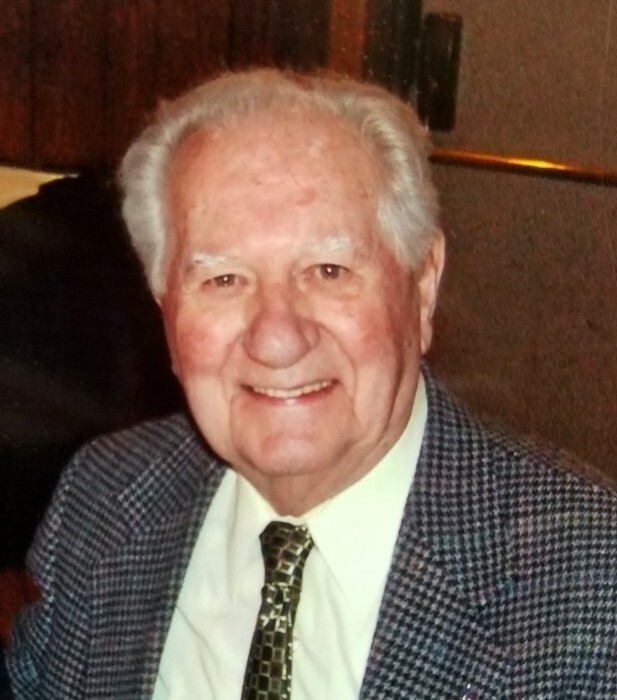 Obituary for Francis 'Frank' Trentman | Ralph Meyer & Deters Funeral Home, Inc.
Francis J. 'Frank', Trentman, beloved husband of the late Ruth A. (nee Seitzer) Trentman. Devoted father of Steven (Julie) Trentman of Cincinnati, OH, Gerry Brink of Ft. Thomas, KY, Susan (late Bill) Raterman of Cincinnati, OH and Peggy (Pete) Corcoran of North Bend, OH. Loving grandfather of 12 grandchildren and 17 great grandchildren. Dear brother of Rita (Dr. James) Merk of Lancaster, OH and the late Howard and Joe Trentman. Also survived by his dear companion, Toni Minges of Cincinnati, OH. Passed away Thursday, January 31, 2019, age 93. Mass of Christian Burial Monday, February 4th, 1:15pm at St. William Church, 4108 W. 8th Street, 45205. Visitation in church, 12pm-1pm. Military Honors to follow at St. Joseph New Mausoleum. Memorials may be directed to Seton High School, 3901 Glenway Ave. 45205, Elder High School, 3900 Vincent Ave. 45205 or St. William Church. Ralph Meyer & Deters Funeral Home (rmdfuneralhome.com) serving the family.